The Mass Property Facilities comprise a series of facilities that determine mass, centre of gravity, moments of inertia and unbalance on small up to large equipment (0.1kg - 5000kg). 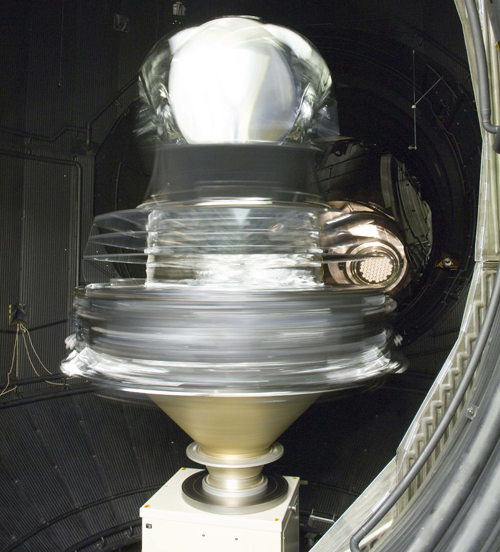 The dynamic unbalance can even be determined at low atmospheric pressure to reduce air drag during spinning. 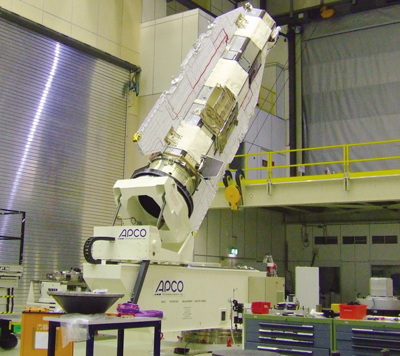 Spacecraft mass property measurements are mainly performed on the WM50/6 and M80 MPMA facility; these facilities are located next to each other. The WM50/6 facility is used for COG measurement along the lateral axes and MOI measurement around the longitudinal axis. The M80 MPMA facility is used for COG measurement along the longitudinal axis and MOI ellipse measurement around the lateral axes. 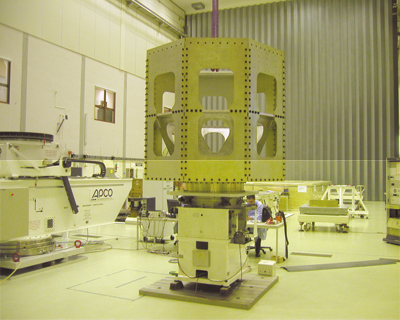 The M80 MPMA facility prevents the use of an L-shaped adapter: The spacecraft can be mated in vertical position to the facility and is then automatically tilted. Within tilted position a COG height of up to 3.2m is allowed for a test article up to 5000kg.